Modest Petrovich Mussorgsky (1839 – 1881) was a Russian composer, one of the group known as "The Five". He was an innovator of Russian music in the romantic period. He strove to achieve a uniquely Russian musical identity, often in deliberate defiance of the established conventions of Western music. For many years Mussorgsky's works were mainly known in versions revised or completed by other composers. 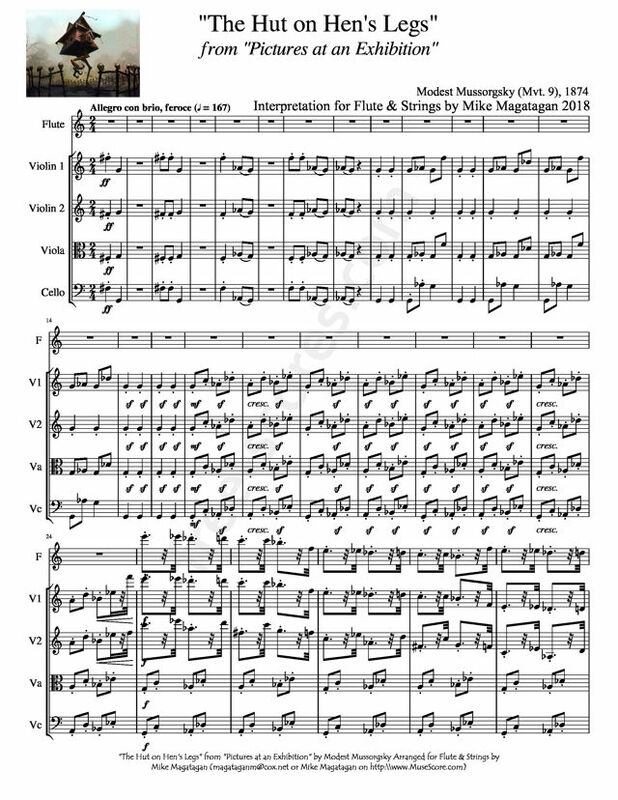 Many of his most important compositions have posthumously come into their own in their original forms, and some of the original scores are now also available. Victor Hartmann, a Russian painter and architect, was one of Mussorgsky's close friends. When Hartmann died in St. Petersburg in 1873 at the age of 41, the composer was crushed. He wrote to the art critic Vladimir Stasov, paraphrasing Shakespeare: "Why should a dog, a horse, a rat have life, and the Hartmanns perish?" In January 1874, the Russian Academy of Arts organized an exhibition of Hartmann's work. Mussorgsky attended the show, where he saw the varied images that became the basis for Pictures of an Exhibition. On June 2, Mussorgsky began work on Pictures, a musical impression of ten of Hartmann's paintings (plus five "promenades") for piano, and finished the work later in the same month. Pictures of an Exhibition opens with a "Promenade" in 5/4 that serves as a unifying device throughout; it is a portrayal of the composer himself walking from one painting to the next. The first picture is "Gnomus," inspired by a design for a toy nutcracker that Hartmann drew in 1869. Another promenade is followed by "The Old Castle," a mysterious, lonely evocation built on pedal tones. "Tuileries" is inspired by a watercolor of children at play in the garden of the Tuileries. This bright and impressionistic piece is followed by the heavy tread of "Bydlo" (a Polish oxcart). Mussorgsky's setting of "Ballet of the Unhatched Chicks" is a wildly imaginative scherzo. A stern melody in a Jewish-music-derived scale opens "Samuel Goldenberg and Schmuyle," in which a wealthy Jew is portrayed by an insistent repeating figure in the treble, a poor Jew in the bass. The rapid patter of haggling housewives characterizes "The Market Place in Limoges." In another sudden change in mood, "Catacombs," which pictures Hartmann himself touring a vast catacomb of skulls, is rendered in naked chord progressions. 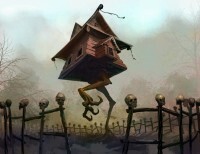 "The Hut on Fowl's Legs (Baba-Yaga)" was inspired by Hartmann's design for a fourteenth century-style clock in the shape of a witch's hat. 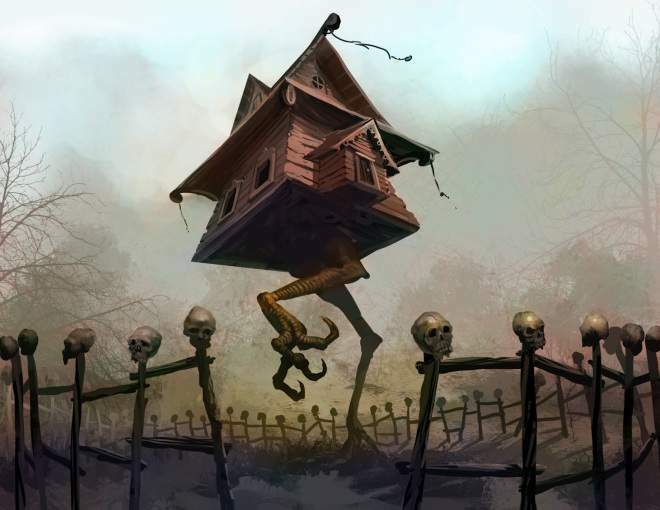 Mussorgsky transforms it into a miniature tone poem about Baba Yaga, the legendary Russian witch who devoured the souls of children. After a grand flourish, the work ends with "The Great Gate of Kiev," inspired by a never-implemented design Hartmann submitted to an architecture competition. Pictures of an Exhibition comes to a close with rich, booming chords which evoke bells. Although Mussorgsky is known to have played Pictures of an Exhibition in recital, the work did not appear in print until 1886, five years after the composer's death. 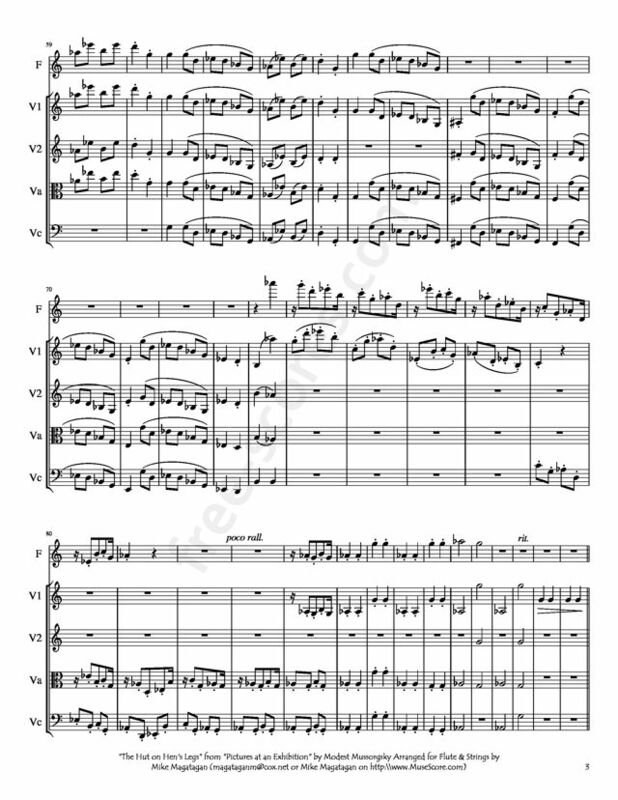 It remained relatively little known until Ravel made a colorful orchestration of it in 1922, and in this form it has enjoyed even greater popularity than the original. Source: AllMusic (https://www.allmusic.com/composition/pictures-at-an-ex hibition-kartinki-s-v%C3%AFstavski-for-piano-mc00023626 19 ). Although originally composed for Piano, I created this Interpretation of "The Hut on Hen's Legs" from "Pictures at an Exhibition" (Mvt. 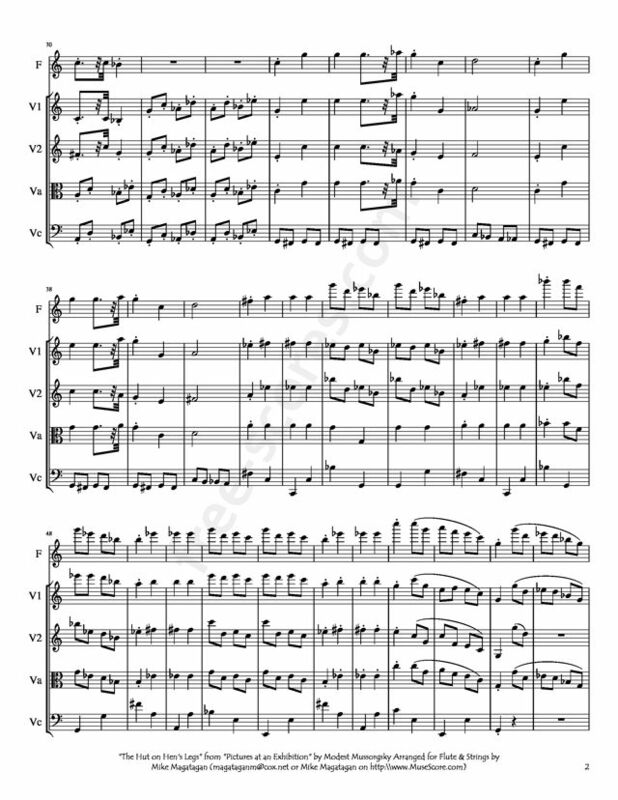 9) for Flute & Strings (2 Violins, Viola & Cello). 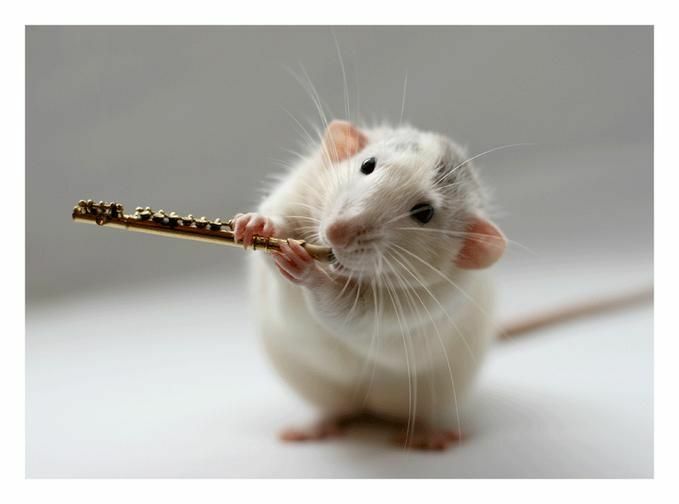 Solo Flute sheet music and full backing tracks on the accompanying CD.